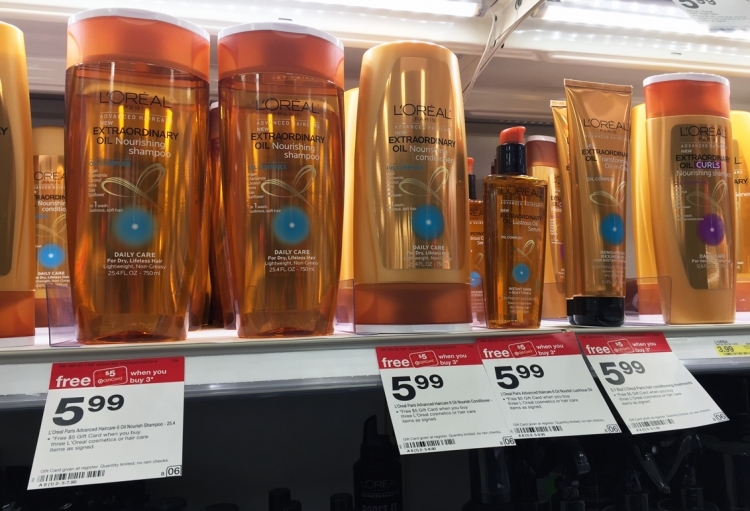 The Target Saver: L'Oreal Paris Advanced Shampoo or Conditioner- $2.32 ea.! L'Oreal Paris Advanced Shampoo or Conditioner- $2.32 ea.! There is a new promotion on L’Oreal Paris Advanced 25.4 oz shampoo, conditioner or treatment at Target. You can buy three and receive a $5.00 Target gift card. Use new high-value coupons from today’s Red Plum insert to get the best deal!